Field updates allow you to automatically update a field value using workflow. Open the workflow that you want to add a field update workflow action to, and click on the New button under Workflow Actions. 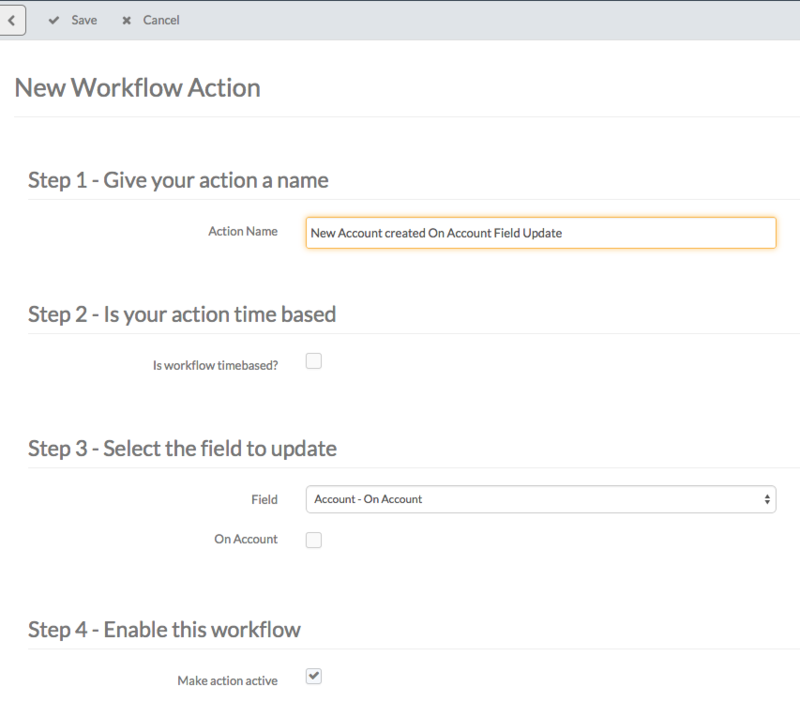 Make the workflow action active by checking the box 'Make action active' and Save.